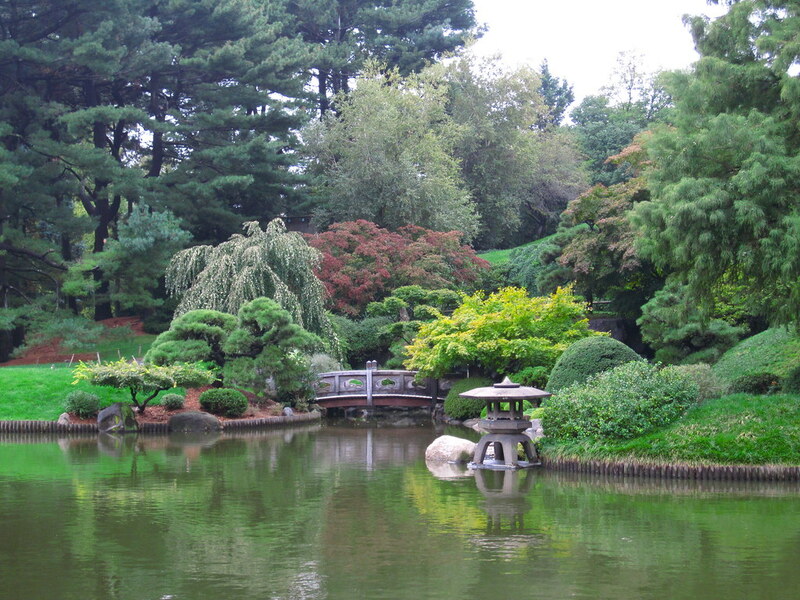 When Brooklyn Botanic Garden was founded more than a century ago, New York City area was quickly being developed into a cityscape of buildings and paved roads. Creating a public garden was one way to ensure that some green space remained. Today, the Garden has come to represent the very best in urban gardening and horticultural display. 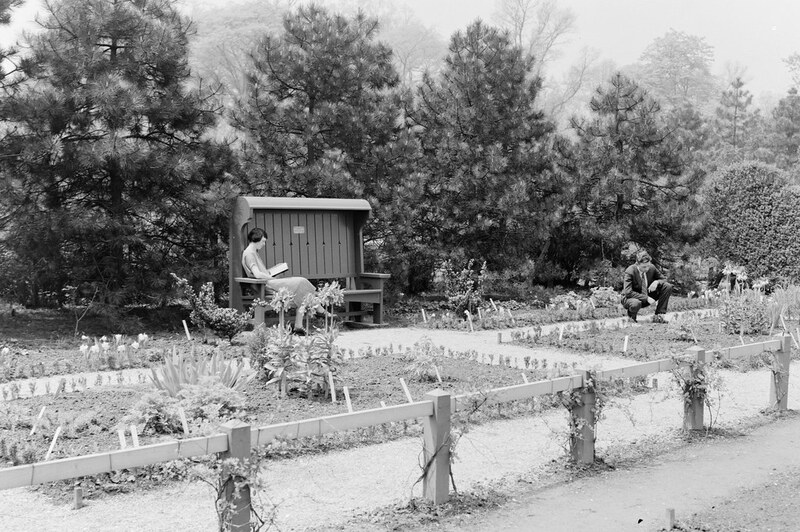 Here are some highlights of the Garden's history, illustrated with photos from the archives. New York State legislation reserves 39 acres for a botanic garden. Today, the Garden comprises 52 acres. Garden founded with botanist Charles Stuart Gager as director. The Olmsted Brothers firm laid out the original site plan. Brooklyn Botanic Garden officially opens on May 13. Original Native Flora Garden (at the time called the Local Flora Section) laid out. 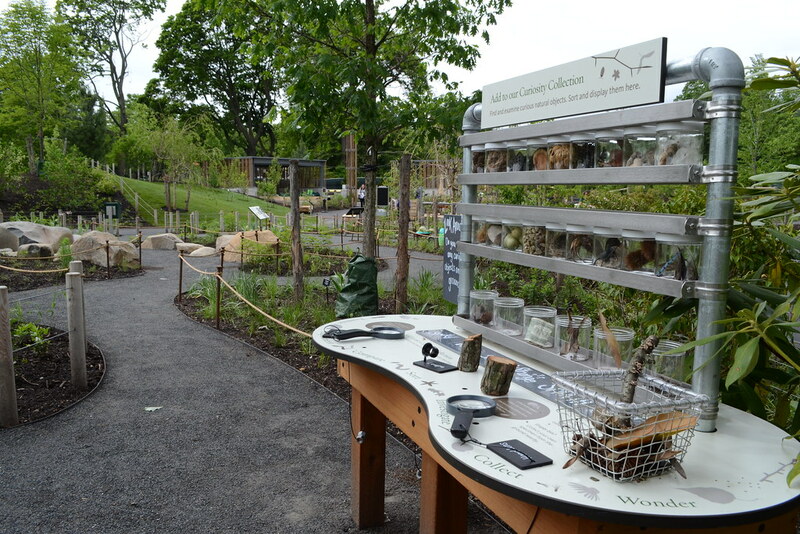 BBG’s first display garden was conceived to showcase and conserve native plants. Its original form was designed by BBG’s first director, Norman Taylor, a research taxonomist, and included wildflower beds arranged systematically by plant family and evolutionary relationship. Harold Caparn appointed the Garden's landscape architect. Caparn would go on to design much of the grounds over the next three decades. Children's Garden program begins. One of the first programs of its kind, this one-acre vegetable garden offers a place where city children can grow their own food plants. Japanese Hill-and-Pond Garden completed by landscape designer Takeo Shiota. 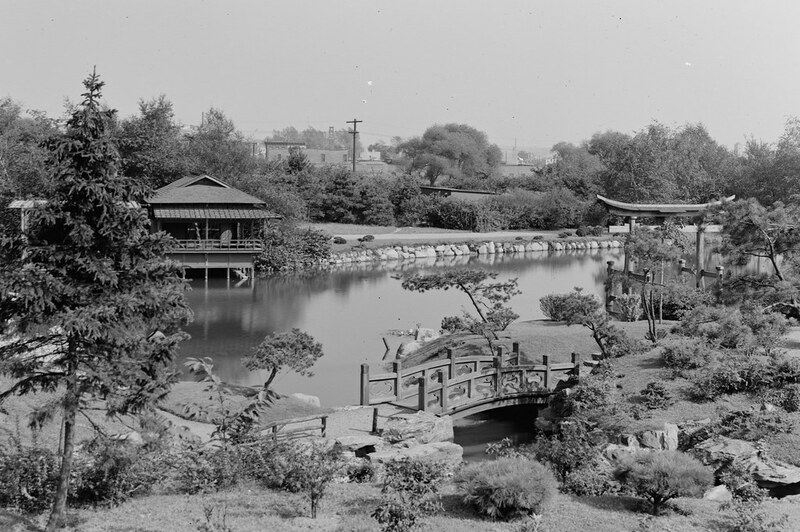 It was one of the first public Japanese gardens in the United States. Rock Garden created. Boulders unearthed on-site were arranged to create miniature habitats for alpine plants. Laboratory Building and Conservatory (now Administration Building and Palm House) dedicated. The Tuscan Revival–style building was designed by the McKim, Mead & White firm and is now a designated landmark. Brooklyn Botanic Garden Auxiliary formed to help support the Garden. Bonsai Collection formed through a gift of 32 bonsai from local plantsman Ernest F. Coe. Shakespeare Garden opens, the gift of Henry C. Folger. Dedication of Cranford Rose Garden, gift of Mr. and Mrs. Walter V. Cranford. Though the garden has been renovated several times since its opening, several of the original plants remain today. Magnolias planted on Magnolia Plaza, gift of Auxiliary. Rose Arc Pool completed, gift of Mrs. Walter V. Cranford. Original Herb Garden, a gift of the Auxiliary, established near the Washington Avenue entrance. Works Progress Administration workers performed some of the labor. Osborne Garden opens, gift of Mrs. Sade Elisabeth Osborne. 'Kanzan' cherry trees planted to establish Cherry Esplanade, a gift of Auxiliary. First title in BBG's gardening book series, Lilies and Their Culture: Use in the Garden, published. First bonsai curator, Frank Okamura, joins staff. Classes and handbooks on bonsai soon followed, signaling this art form's continuing popularity. Fragrance Garden, designed by landscape architect Alice R. Ireys, opens. Volunteer Garden Guide docent program established by Auxiliary. 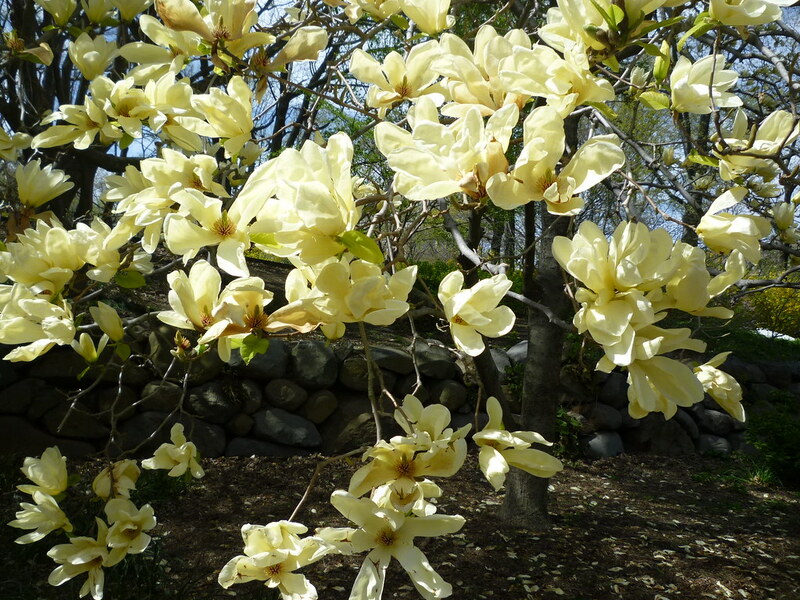 Patent received for Magnolia × 'Elizabeth', the first yellow magnolia, developed at BBG. 500-year-old Shogun lantern, gift of the city of Tokyo, placed in the Japanese Hill-and-Pond Garden. Project Green Reach created. This outreach program serves elementary and middle school classes in Brooklyn's Title I schools. New York Metropolitan Flora Project, a 20-year survey of the area's plant species, launched. BBG's community horticulture and urban greening program is founded. Greenest Block in Brooklyn contest established. Restored Japanese Hill-and-Pond Garden reopens. Alice Recknagel Ireys Fragrance Garden dedicated. Brooklyn Academy of Science and the Environment (BASE) founded in partnership with BBG. This public high school, which emphasizes a project-based science curriculum, is a short walk from the Garden, a source of research opportunities for the students. Osborne Garden and Magnolia Plaza restored. 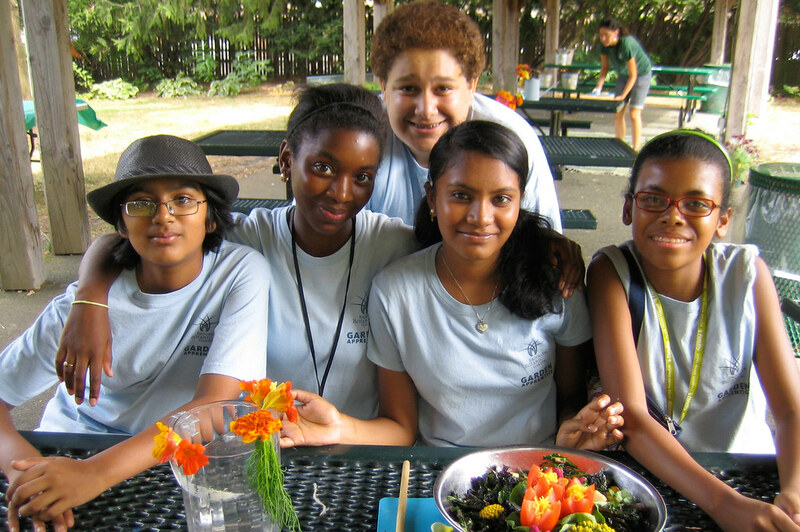 Garden Apprentice Program for teens created. New Eastern Parkway entrance, designed by Polshek Partnership Architects, opens. Dedication of Judith D. Zuk Magnolia Plaza. Restoration of Cranford Rose Garden pavilion and irrigation system completed. 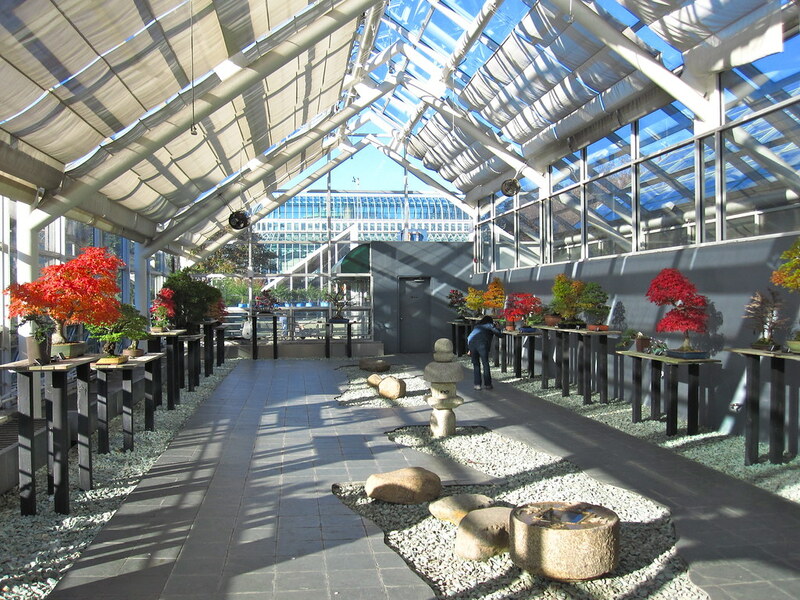 Redesign of C.V. Starr Bonsai Museum and Conservatory Gallery completed. New Herb Garden opens. Now located in the south end of the grounds, the garden features a small orchard, annual beds, cold frames, and a composting area. BBG celebrates centennial with special events, tours, and exhibits. Diane H. and Joseph S. Steinberg Visitor Center opens. The LEED Gold–certified design by Weiss/Manfredi includes geothermal heating, rain gardens to absorb run-off, and a living roof planted with native grasses and wildflowers. Native Flora Garden Expansion, designed by landscape architect Darrel Morrison, opens. The sunny coastal meadow and pine barrens plant communities represented here, along with those of the older, forested part of the garden, represent those that once inhabited the New York City area. BBG awarded the National Medal for Museum and Library Service. New Discovery Garden opens. This one-acre garden for children, designed by Michael Van Valkenburgh Associates, features interactive exhibits set in a variety of habitats, including a meadow, marsh, and woodland. A Discovery Station in the new Discovery Garden. Photo by Lee Patrick. 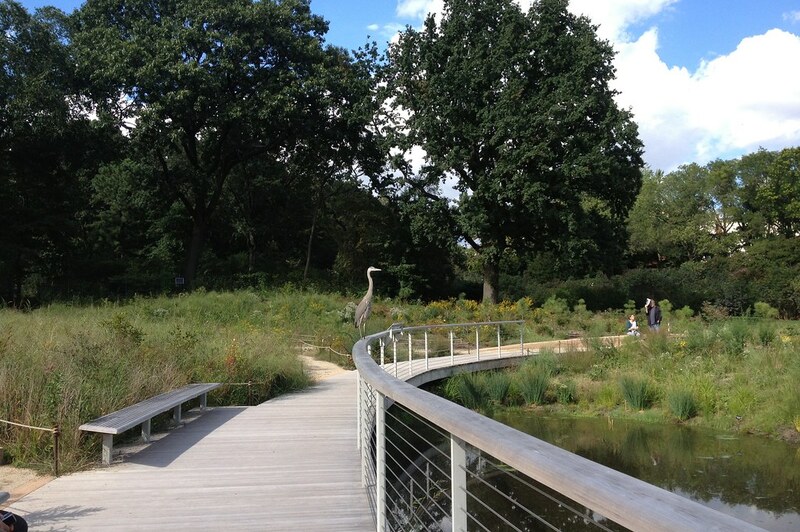 A great blue heron visiting the Native Flora Garden expansion shortly its opening, in 2013. Photo by Sarah Schmidt. The Greenest Block in Brooklyn contest in one of its first years. 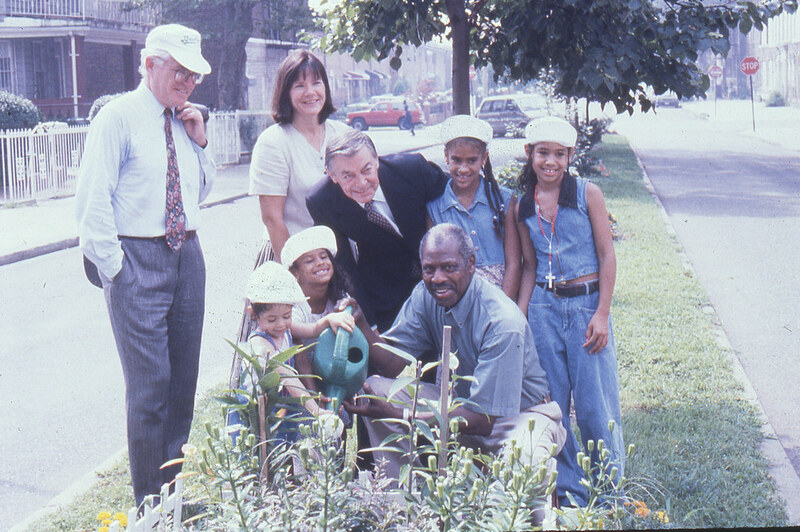 Howard Avenue Block Association president Horace Young (holding watering can) and his family are congratulated by Brooklyn Borough President Howard Golden (in dark suit), BBG President Judith Zuk, and Independence Community Bank President and CEO Charles Hamm (in cap). Garden Apprentice Program participants creating recipes for a contest. Photo by Saara Nafici. 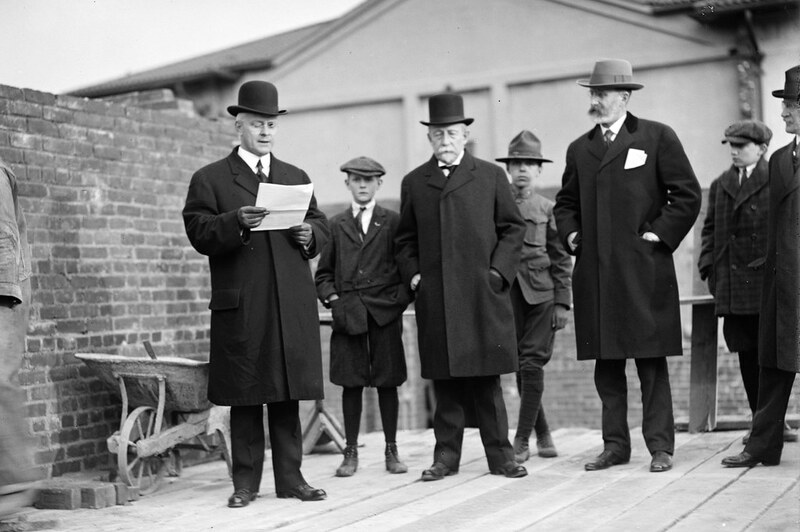 Dr. Gager speaking at the laying of the cornerstone of the Laboratory Building, 1916. Photo by Louis Buhle. 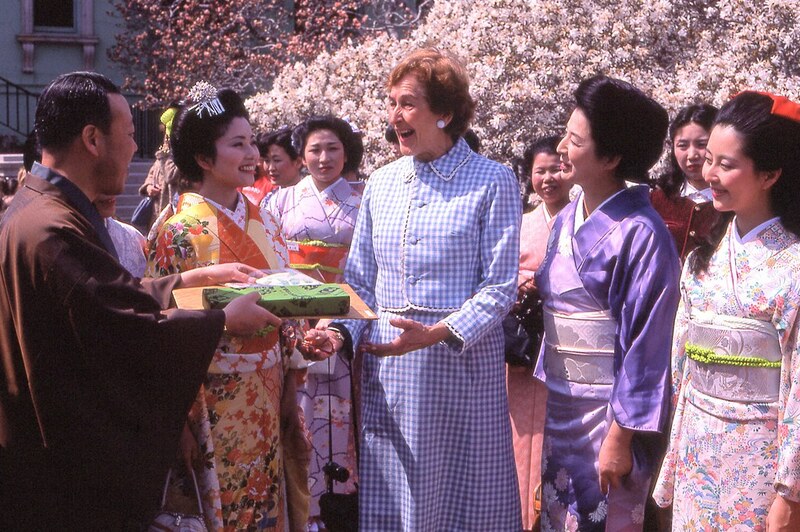 Brooklyn Botanic Garden President Elizabeth Scholtz greets visitors at the first Sakura Matsuri in 1982. Photo by Estelle Gerard. The C.V. Starr Bonsai Museum in autumn. Photo by Rebecca Bullene. Ivory-colored Magnolia 'Elizabeth', near the Eastern Parkway entrance of BBG. Photo by Laimah Osman. Early-autumn color in the Japanese Hill-and-Pond Garden. Photo by Rebecca Bullene. 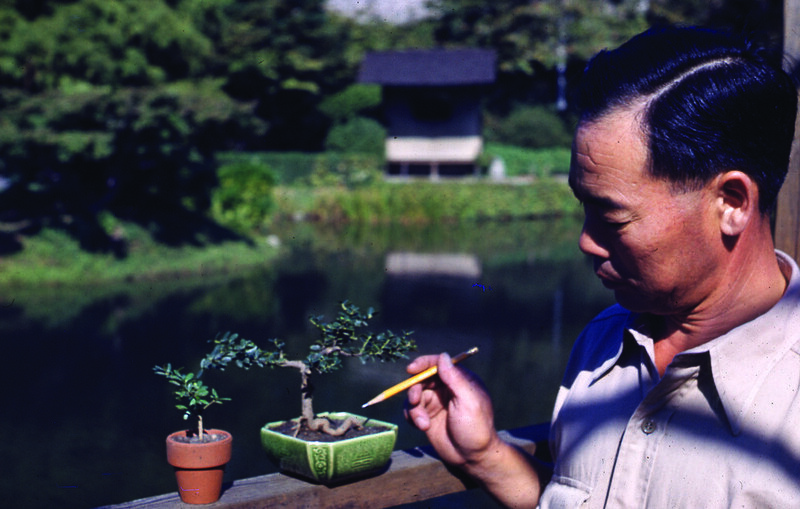 Frank Okamura, the Garden's first bonsai curator. 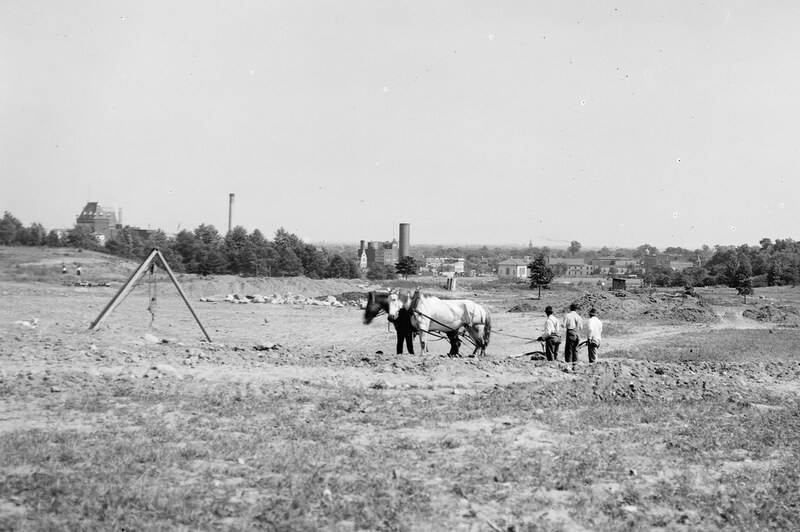 Grading the land for the southern part of the garden with horse team, 1916. Photo by Louis Buhle. 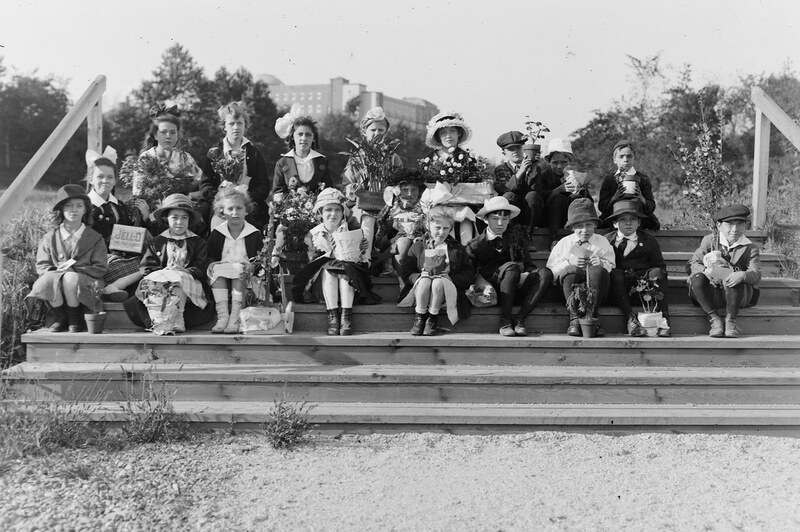 Children's Garden, 1915. Photo by Louis Buhle. Japanese Hill-and-Pond Garden, 1916. Photo by Louis Buhle. Shakespeare Garden 1926. Photo by Louis Buhle. 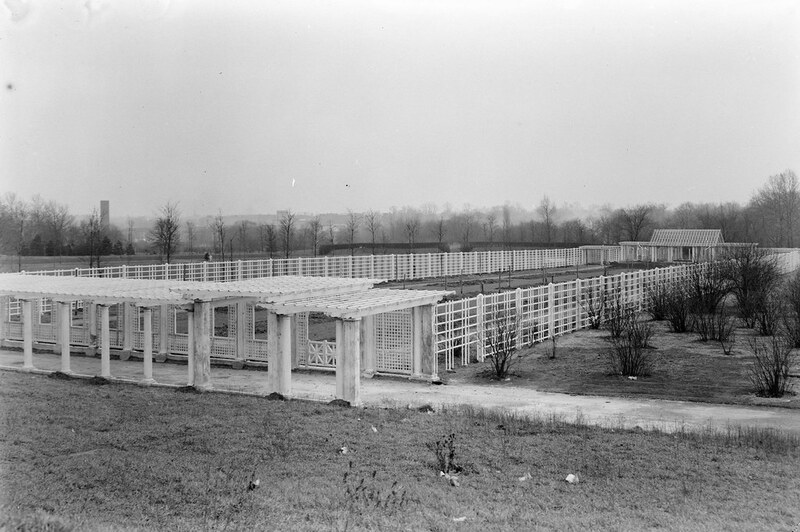 Cranford Rose Garden, 1927. Photo by Louis Buhle. 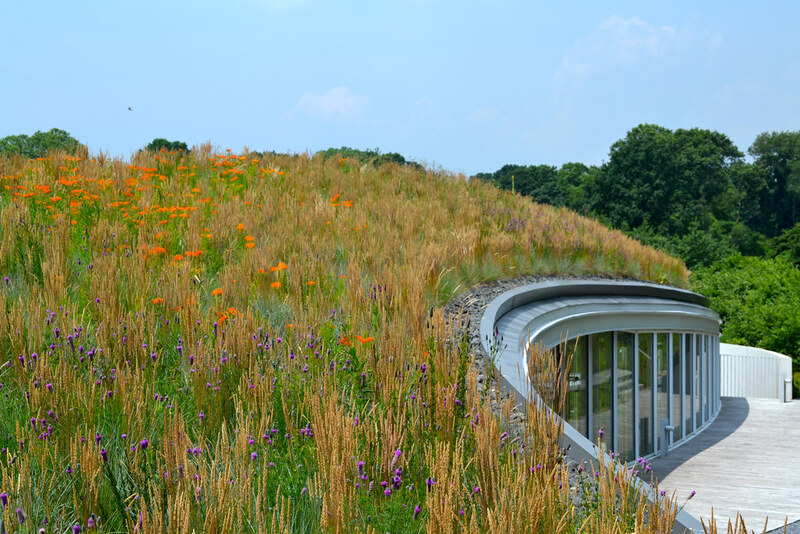 The BBG Visitor Center's living roof features a diversity of plantings, including a number of native species. Photo by Blanca Begert.